At 8:35 a.m., a bell rings, signaling the beginning of second period at Great Hollow middle School in Nesconset. Rich Specht greets his first science class of the day. He’s got 26 eighth grade students to share his love of science with. Today’s lesson is on the neuron, a specialized cell that sends nerve impulses throughout the body. “It’s all about regulation,” he explains. He gets a game of catch going with an orange foam ball to demonstrate the speed of neuron reactions- an effective way to teach visual learners. He follows this up with a story about claw machines to help his audio learners. The colorful claw machines we’re all addicted to are rigged to take advantage of humans’ slow reaction times. So if you’ve ever won a prize, you just got lucky. The 41 minutes of class pass quickly and the bell rings at 9:16 a.m. Class is dismissed, but a handful of students stay after to talk to Rich about their favorite TV shows and to invite him to rehearsals for the school play tonight. Because to them, he’s more than their science teacher. He’s their friend. And Rich enjoys their friendships. They’re enthusiastic and energetic. They make his job easy. They help distract him from a nightmarish reality that sneaks up on him when he’s alone with his thoughts. The nightmare began on October 27, 2012. Rich and his family were preparing for Hurricane Sandy when miscommunication between Rich and a friend gave Rich’s 22-month-old son, Rees, an opportunity to wander out of the house and into the Specht’s backyard pond. 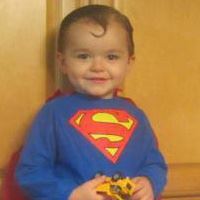 Rees was a brown-eyed boy who wore a permanent smile on his face and loved the word tractor. “Everything to him was a tractor,” Rich says, shaking his head with a smile on his face. Rees seemed to understand the meaning of kindness even at a young age. Life just isn’t the same anymore for Rich, his wife Sam and their two older daughters, Abby, 10, and Lorilei, 8. They think of Rees every day. It’s hard not too. There are pictures of him in almost every room. “I don’t think there are any of them in the bathrooms,” Rich says, laughing. He brings extra photos of Rees to work with him. There’s one in his wallet and one on his keyring. Drawings of Rees are hung up around the classroom. The pictures don’t bother Rich when he’s teaching. He can get through five periods of science everyday without thinking about the day he lost his son, but the grief hits him at odd moments. It washes over him during his free periods. When he thinks about all the things he was going to do with Rees. They were going to take trips upstate- Rich’s quintessential happy place. They would play sports together. And they were going to spend a lot of time playing video games. When the grief becomes too much to bear, Rich locks the door to his classroom and turns off the lights. Sometimes he sits in the darkness, waiting for the moment to pass. Sometimes he writes. He shares moments of both despair and joy on his blog. Rich writes more about the moments of heartbreak. The moments when he misses his son the most. The idea for the foundation was born the night of Rees’ memorial- where family and friends gathered to mourn a boy who died two months before his second birthday. Rich spoke, reluctantly at first, about the importance of perspective. “We worry too much about material things that separate us rather than focusing on things like kindness and compassion that bind us together,” he said. Brian Costello, Rich’s friend and colleague, was inspired by Rich’s eulogy and came up with an idea of creating a foundation in Rees’ memory. Brian even found the perfect way to incorporate Rees’ name. The foundation’s message would be contained in the foundation’s name- ReesSpecht Life. 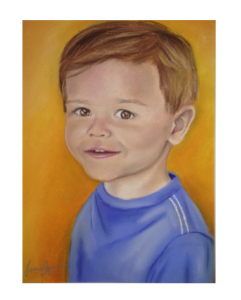 The non-profit foundation was built on the values of respect and kindness that Rich and Samantha had hoped to instill in their son. Their goal was simple: to spread kindness through good deeds. Rich and Samantha created business cards that asked people to promote the foundation’s mission and “pay it forward” with a good deed or a kind word. However, the Spechts needed a more comprehensible mission in order to become a 501c3 organization- because for some reason, promoting kindness was a hard concept for some people to wrap their heads around. The natural fit for Rich and Sam, who both teach in the Smithtown School District, was a scholarship program. The ReesSpecht Life Scholarship is awarded to students who promote a sense of community. It is one of the few scholarships with no academic requirements. The scholarship is now worth $1,000 and is given out in five school districts on Long Island. 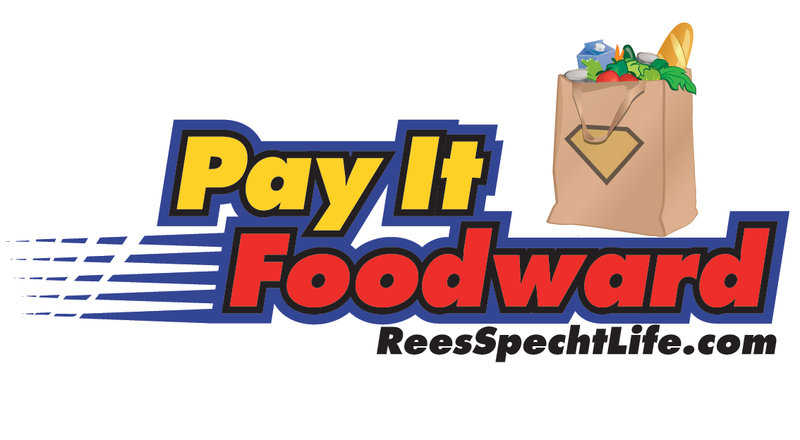 Today ReesSpecht Life offers their cards free of charge and sells bracelets, car magnets, T-shirts and a book Rich wrote. All proceeds benefit the foundation and goes to pay for things like card printing, postage, administrative costs, scholarships, grants and their holiday toy drive. Donations raised on Indiegogo, a crowdfunding website helped cover the book’s publishing costs. In the book, a smiling Rees, dressed in a red plaid shirt and overalls, performs random acts of kindness that set a chain reaction in motion. Rich reads his book to younger children on his speaking tour. The tour kicked off in the summer of 2013. 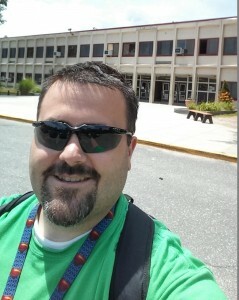 Rich’s alma mater, Ward Melville asked him to speak at an assembly. Rich said things went well, and apparently they did. More requests rolled in soon after his first presentation. 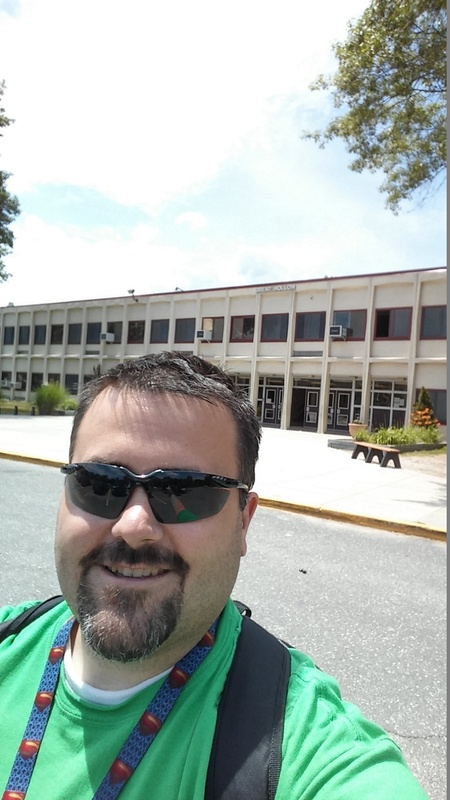 So far, Rich has spoken at Ward Melville, Jericho Elementary School, Suffolk County Community College, Stony Brook University and the Phi Theta Kappa Honor Society of New York. Dozens of schools and organizations have asked Rich to speak in the upcoming school year. Starting this summer, Rich will visit a summer camp on the island and travel to Georgia and Florida to share Rees’ tragic story and remind people of the importance of perspective and the power of kindness. Something he feels in his heart that Rees would want him to do. But to pursue this dream, he will have to give up his job teaching science to eighth graders at Great Hollow. He won’t be able to teach kids about genetics or mix chemicals in the lab anymore. 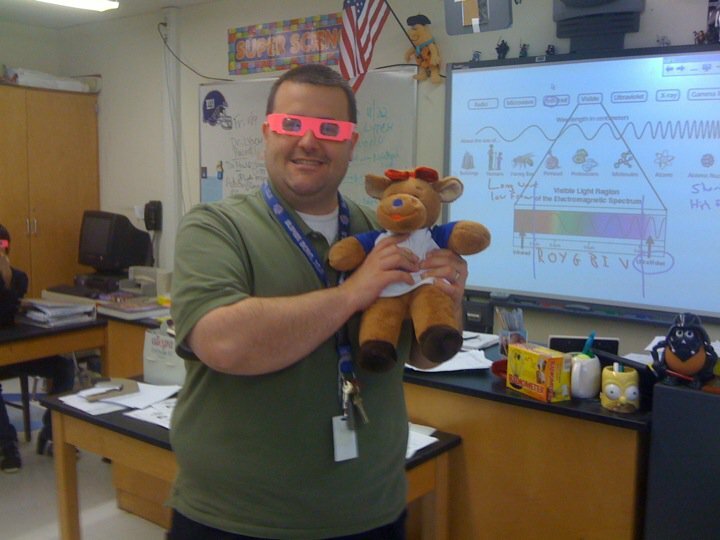 And he’ll miss watching his students’ eyes light up when they make a science connection. Most of all, he’ll miss his colleagues. He sees his coworkers as his family. They rallied around him after Rees died- preparing meals, chipping in to cover funeral costs and even purchasing Christmas gifts for Lorilei and Abby. His closest friend is James Schiraldi, a 6-foot-4-inch tall math teacher who works in one of the classrooms below him. James remembers standing by Rich’s side during the eulogy– a defining moment in their friendship. But their friendship was also marked by good times. Weddings. Birthday parties. The Demolition Derby upstate. And most recently, a trip to Atlantic City. Rich asked James to become a member of ReesSpecht Life’s board of trustees when the foundation was first established. James handles the finances, helps brainstorm ideas, and books many events. The media started reaching out to the foundation in March of 2013. Rich and Sam made appearances on local news networks and were featured in Long Island newspapers. But their reach expanded at an enormous rate a few months ago. 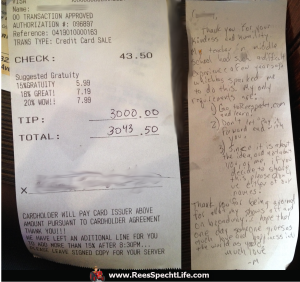 The craziness began on when a Broadway actor left his waitress a $3,000 tip for his $43.50 meal in April. The actor gave all of the money that was in his account. He was one of Rich’s former students. He left a note for his waitress on the back of the receipt thanking her for supporting him at shows. The story was featured on major networks like CNN, WPIX11, ABC News, FOX, Business Insider Australia, Daily Mail UK, Die Welt in Germany and The Daily Sabah in Istanbul. News of the 7,000 percent tip reached Zooey Deschanel, star of the Fox sitcom, New Girl. Deschanel shared the story on her Facebook page, and within hours the ReesSpecht Life website went down due to a server overload. It was after 11 p.m. when Rich got the news. He was alone watching the Mets postgame on his couch. His whole family was asleep, so he told the boy who started it all. On May 6, Rich was contacted by Hollywood producers via email. The producers expressed interest in turning [the children’s book] into a television series. Rich posted a status on his personal Facebook page shortly after he was contacted. “Let the crazy continue,” he wrote. While recent events have benefitted the foundation, the business’ growth plan needs to be adjusted quickly. ReesSpecht Life is currently growing at such a rapid pace that the Spechts can barely keep up. Rich says he plans on changing the 100 percent volunteer model and will bring on more board members. A more drastic shift has occurred in the way that Rich sees the foundation. Rich and his family originally used ReesSpecht Life as a coping mechanism. It was a distraction from the dark and quiet moments. But the birth of their youngest daughter, Melina, six months ago has changed Rich’s mission for the foundation. “We had experienced pure pain and loss and we literally had the opposite when Melina was born,” Rich explains. Working on the foundation feels like calling now. “Now I feel like I’m on the path that I’m supposed to be on,” Rich says, although he admits he thought saving the world was his calling when he was younger. “I always had these visions of being a superhero,” Rich says. When he was about 8-years-old, he and his cousin predicted what their lives would be like in the future. Rich told his cousin that he was going to be a superhero. 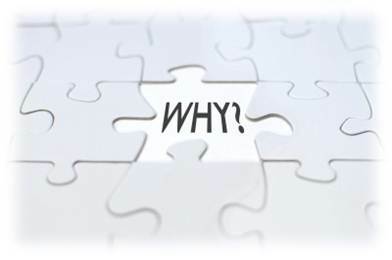 Answering the “whys” of life never stops – they simply grow: Each new answer invariably leads to ever more complex questions. It is no coincidence that this complexity mirrors the ever burgeoning complexity of the brains that spawned them. As we answer the mysteries of the simpler “whys?” of our youth the pathway of questioning inexorably leads us to the existential: “Who am I? Why am I here? What is my purpose?” line of questioning. It happens to all of us sooner or later and represents the first truly “adult” problem we face: How do you handle a question that no one else can answer? Questioning our existence is one of the universal bonds of adult thinking and in many ways represents the quintessential human question. The me from before we lost Rees was a smug, self assured person who honestly felt he had everything figured out. I was sure what my purpose was. I was confident that my will would dictate the course of my life. I was convinced that everything we are ends with our death. I knew everything – yet in reality knew nothing. I thought my eyes were wide open, when in reality they were firmly closed; the only sites I could see were what my imagination was conjuring at the time. That all changed the day I lost Rees. When I look back at pictures of me from the days before Rees died I see that person that seems like a stranger to me now. That person was sure he was going to teach science for as long as he could. The stranger that inhabited this body had grand visions of a perfect life with his two girls and only son. That shadow of my current self believed he was in control of his destiny. The “before” me would have told you that life follows the script you write for yourself. I now know life is not scripted at all. It is improvised in response to something greater that we have no control over. It flows like the Ocean, and while we remain powerless to alter its course, we have the ability to set our sails to navigate any way we choose. As I look back now, the me from “before” was as ignorant as can be… And the real irony is that doppleganger would scoff at many of the notion’s I hold as truths now. Fate, it turns out, isn’t in our control – destiny has a place for all of us. The key is finding that place for ourselves. I think I have found that place and it is a place far removed from the confines of this classroom I find myself writing in right now. It still has not dawned on me that I will not be here next year. This is the last time I will sit here as “Mr. Specht” the science teacher. Sure, I will still be teaching, but the lessons will be very different than those which I have taught in the past 15 years. Out with Einstein, Mendel and Newton (and running into walls!). In with Kindness, Compassion and Respect. I will reach more students, yet I will not forge those close-knit relationships that invariably develop when you are with the same children day after day for 180+ days a year. I am going to miss that. I am going to miss my colleagues. I am going to miss those administrators who truly cared about both the students and their staff. There is so much I am going to miss, yet there is an immeasurable number of new experiences I am excited to embark on. I now know life is not scripted at all. It is improvised in response to something greater that we have no control over. It flows like the Ocean, and while we remain powerless to alter its course, we have the ability to set our sails to navigate any way we choose.. Gift Basket List for our Fundraiser! An XBOX One plus Game and Swag! Feel free to arrive at any time between 3 and 6:15… We will be drawing the winning baskets at 6:30. I hope we see many of you there!